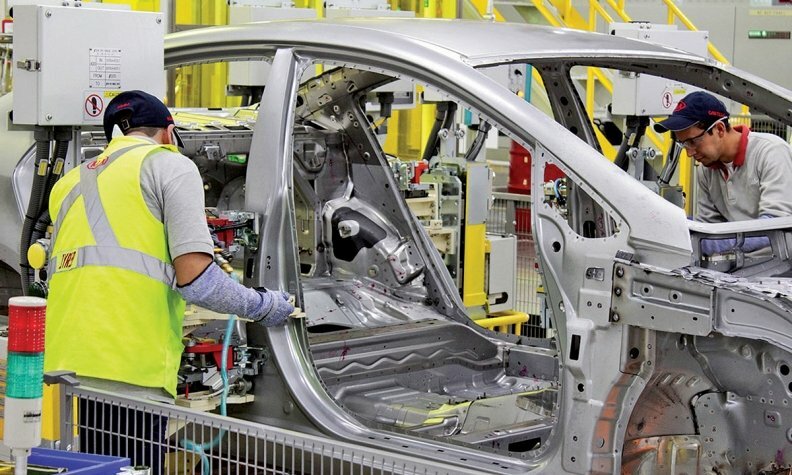 Under NAFTA, at least 62.5 per cent of the material in a car or light truck made in the region must be from North America to be able to enter the marketplace tariff-free. the United States wants to raise that percentage. OTTAWA -- Successfully modernizing the NAFTA trade pact will be “very difficult” if the United States sticks to hard line proposals that Canada and Mexico feel are unacceptable, a top Canadian negotiator said Thursday. Martin Moen, a senior foreign ministry official who helps lead the Canadian team, said some of the U.S. initiatives “are not going to be workable” in the context of renegotiating the three-nation North American Free Trade Agreement. Canada has already made clear it cannot accept Washington’s demands to scrap a dispute settlement mechanism, boost the U.S. content of autos and introduce a clause limiting the lifespan of any new deal to five years. The hard line American demands have prompted increasing concern that Washington could walk away from the 1994 deal, which U.S. President Donald Trump says is a disaster. Moen, speaking to an Ottawa business conference, said Canada was worried that “if we can’t get past these (proposals) and move back into a space where we are talking about modernization and an agreement that builds on the previous agreement ... it’s going to be very difficult to see a path forward”. Canada, he added, was prepared to continue talking as long as the discussions focused on how to improve the treaty. Ottawa has already made clear it will not walk away from the talks. Trump is under increasing pressure from U.S. industry groups not to abandon the deal, a move they say would cost jobs. The United States, Mexico and Canada are due to hold their fifth round of talks in Mexico City from Nov 17 to 21. The negotiations are scheduled to run until the end of March 2018.